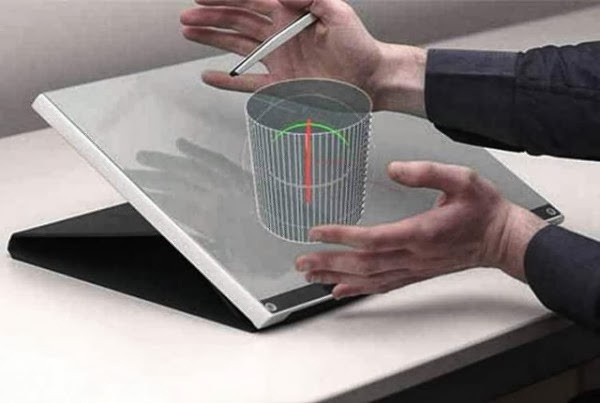 Arsitektur hari ini and future: “Smart” Drawing Board Like You’ve Never Seen Before! 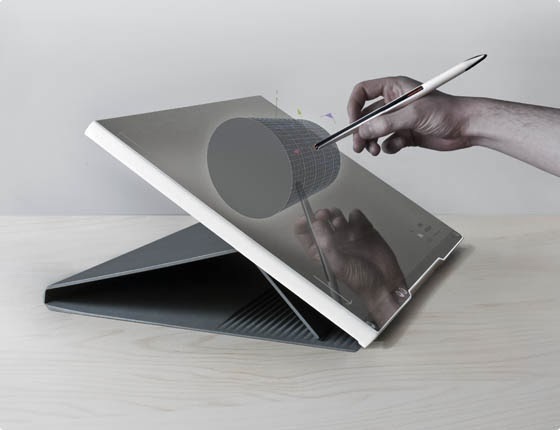 “Smart” Drawing Board Like You’ve Never Seen Before! ETOS – Another miracle designed for the architects and designers! This we present here is digital 3D tool that can make the work done for more shorten time and more precise drawing than ever! The drawing board ETOS is something different. The screen is integrated and delivers the image in 3D without glasses . It’s functional , easy for manipulate, almost weightless, have excellent design and is very practical. The screen is very sensitive and in order to be easier for more precise drawings a pen is there to help the work. The pen tool allows manipulating the drawing object in four sides along its horizontal and vertical axis. This excellent ETOS drawing board is most practical for designers and architects as every day tool that doesn’t need much space at home or office and this is gorgeous designed by Daniel Kussmaul.